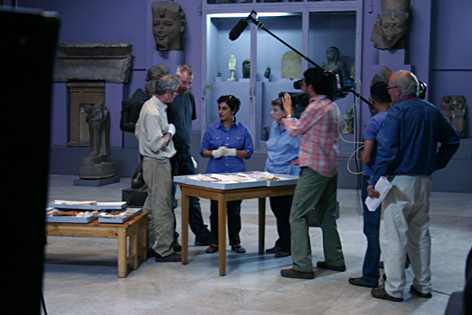 All information about the International Chariot Conference (1 & 2 December 2012 in Cairo) is conveniently put together on one page, see http://www.leatherandshoes.nl/conference/. Here you will find all the details about the conference itself, how to submit the paper for the proceedings as well as hotels and traveling. 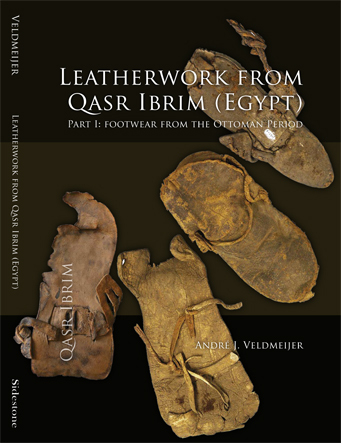 Other ‘leatherandshoes.nl’ news: a new volume on ancient Egyptian footwear is about to be published by Sidestone in Leiden (www.sidestone.nl): Leatherwork from Qasr Ibrim (Egypt). Part I: Footwear from the Ottoman Period. In press. Studies of Ancient Egyptian Footwear. Technological Aspects. Part Part XIII. Side-Covering Leather Sandals. – Jaarberichten Ex Oriente Lux. In press. Studies of Ancient Egyptian Footwear. Technological Aspects. Part XIX. Mules. – Jaarberichten Ex Oriente Lux. In press. Studies of Ancient Egyptian Footwear. Technological Aspects. Part XVII. Leather Stubbed-Toe Ankle Shoes. – Jaarberichten Ex Oriente Lux. The idea to update the blog every day after work proved impossible in the last four weeks, unfortunately. Since the last posting, we have worked for several more days. 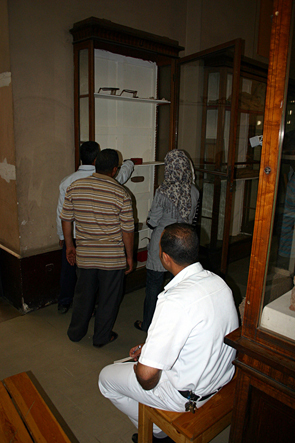 During this time we managed to finish the work on the finds from the tomb of Amenhotep II. Still several fragments of the Tano chariot need our attention: fortunately, our conservator is back in town, which means that the whole team is ready to finish the registration. Meanwhile, a television team of TV 6 came to film us and the Tano leather. The crew was accompanied by Robert Huford (see www.chariotmaker.com), who is specialised in chariot reconstructions. Also Kathy Hansen, specialist in horses and especially harnessing. The discussions with our colleagues proved very useful. Discussion of EMCP members with Robert Huford (left) and Kathy Hansen (right). Photograph by E. Endenburg. The last two weeks, two days of work on the Amenhotep II leather was done. This important material, remnants of quivers and bow-cases as well as more ordinary red axe lashings, have been described (Salima) and photographed (André). It becomes increasingly clear that there are many differences between these finds and those from other tombs, but, interestingly, also many analogies. The material is very fragile and in need of conservation, the possibilities of which will be explored by our conservator, Lucy. 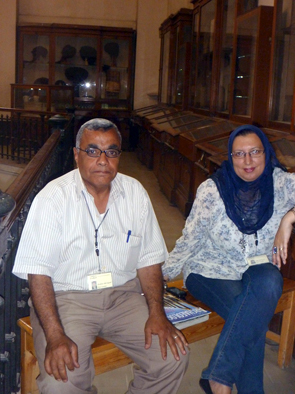 The curator, Ibrahim el Gawad with his assistant. The work with texts mentioning chariots and related topics is progressing as planned. So far the focus has been placed on creating a complete overview of attestations of chariots in the written record of the New Kingdom. The information to be gained from the texts is twofold. Firstly, the ancient Egyptian language contained different words for different kinds of chariots as well as a technical terminology comprised by names for chariot parts and associated equipment. Secondly, the textual record allows us to glimpse into the many social contexts in which chariots are attested and can thus help us to place the chariot in a micro-historic framework within New Kingdom society. 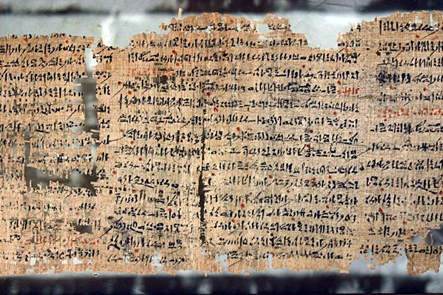 Papyrus Harris 500 (P. BM 10060) includes love poems, which indicate the use of chariots as personal, everyday transportation). Courtesy of the British Museum (www.britishmuseum.org).